TB Alliance, University of Auckland, Merck & Co., Inc.
Bedaquiline represents both a novel chemical class - diarylquinolines (DARQs) - as well as a novel M. tuberculosis-selective mechanism of action (direct inhibition of M.tb ATP synthase). TBAJ-587 was identified following a next-generation diarylquinoline lead optimization project that sought to identify novel members of this chemical series, which maintain bedaquiline’s impressive anti-TB activities and possess improved properties. TBAJ-587 has more potent activity against M. tuberculosis and better efficacy in animal models of TB. Preliminary studies suggest it has a better safety and pharmacokinetic profile than bedaquiline. Pre-clinical development is ongoing for TBAJ-587. Choi et al. 2017. 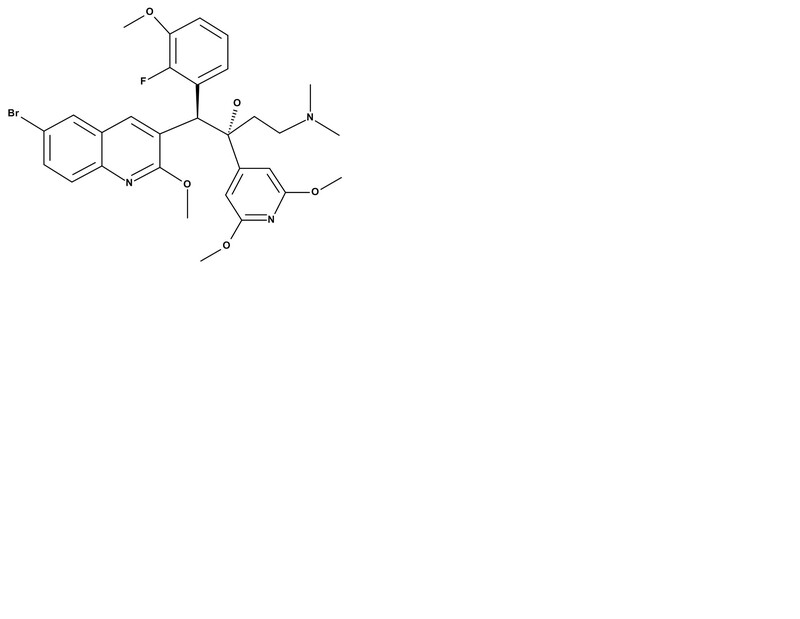 Synthesis and evaluation of analogues of the tuberculosis drug bedaquiline containing heterocyclic B-ring units. Bioorg Med Chem Lett. TMC207 for multidrug resistance tuberculosis.